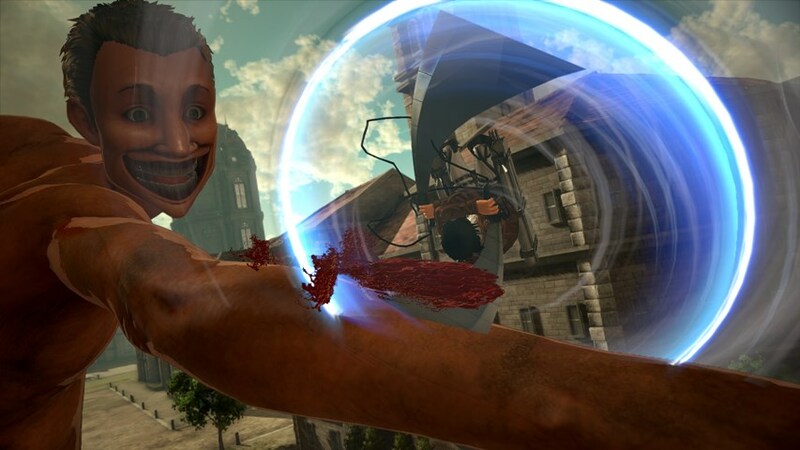 Attack on Titan 2, also known as A.O.T. 2 is an action hack and slash game based on the Hajime Isayama manga series of the same name released for consoles and PC and is developed by Omega Force who are well known for their Dynasty Warriors series and Toukiden Kiwami. The game story follows a silent new hero (male or female your choice) alongside the characters fans will be familiar with if they read the manga (that’s Japanese comics if you were not aware) or watch the anime. In a nutshell, it’s humans versus the giants (titans) who are out to devour the human race and as part of a team of cadets sent to battle them your role is to save humanity from impending doom. Sounds like a lot of fun and it is, however is it worth the purchase price considering it’s quite high (on Steam for example the core game is retailing at £54.99). Ouch! The game follows a very similar approach to the aforementioned Dynasty Warriors series with win and fail parameters and moments where you can move across the map to help out other characters either optionally or as part of mission critical objectives. The difference here is the removal of all the 1000s of soldiers littering the open map. This time it’s less populated which gives rise to a new form of combat where players can take out the titans. 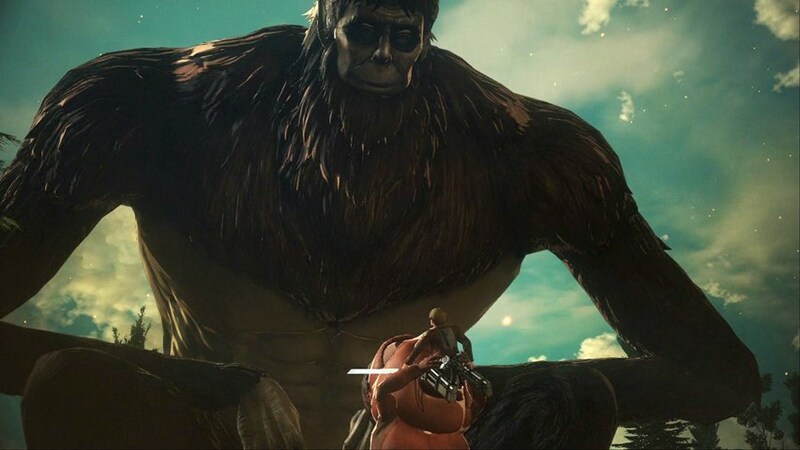 It’s certainly not a solo affair as the player character can team up with other squad members and perform joint attacks but the core gameplay mechanic revolves around locking on to a titan, targeting a specific limb or the nape of the neck and chopping off parts until it’s defeated or able to be captured. It’s actually pretty satisfying, made all the more involving as your character zips across buildings and terrain like a super-hero. It’s not all plain sailing though because there are various types of titan with some being easier to take down than others. Once they lock on to you then it can be tricky to shake them off especially if you don’t have any countermeasures equipped. Being grabbed and potentially eaten is not fun but like Dynasty Warriors, being mindful of the health and status of your companions is key to success or failure as they can be eaten as well resulting in a mission fail. You also have to be mindful of your blade sharpness (which depletes pretty quickly with each attack) and your boost power (which can be recharged if you have the supplies). Littered around the map are points where bases can be built which act as item gatherers, boosts in equipment and even cannons to take out any nearby threats. There are quite a few quirks in battle but the basics rest with slicing the nape (back of the neck) of the titans to bring them down. If you are stealthy then this can be accomplished in one fell swoop which is pretty satisfying to boot. More so if you chain attacks or kills together for multiple take downs. The story is full on here which drives you forwards and what is neat is being able to wander around town or base between battles to talk to friends, rivals and superiors. There are multiple choice responses to be selected which in turn can raise your affinity with the recipient. All the fine details are kept in the player’s logbook so nothing is missed and can be used as a reference guide at any time to see where you are with the story and relationships. In town you can also level up equipment, craft new gear and buy sell materials to help you on your way. As you progress through the campaign there is a reputation system brought into play which can be used to upgrade your character and friends which adds another layer to proceedings – especially as you can pick and choose who to take out on Scout missions. There is quite a lot of extra stuff to do outside of battle, but essentially the core gameplay revolves around laying the smackdown on the titans, which after extended playing can get a little repetitive. In terms of visuals the game looks pretty decent and runs smoothly, on Xbox One X (the version we tested). Whilst the graphics aren’t the most detailed, they do fit the anime style well enough. Some neat first person cut-scenes also work surprisingly well. Audio is full on Japanese with English subs which keeps things authentic at least. There is quite a lot here for the solo player even if it’s somewhat repetitive but that will certainly keep fans hooked. There is a multiplayer option as well for those who wish to prove their worth against other players or dive into co-op experiences which perhaps is a standard feature for these types of games from Omega Force now. So in all, despite the high price point there are enough hours of entertainment to be had here. The only other gripe one has with this package is how much extra DLC is offered in terms of cosmetics which is a bit of a shame as the core game is pretty basic when it comes to outfits and every character wearing the same dull clothing. 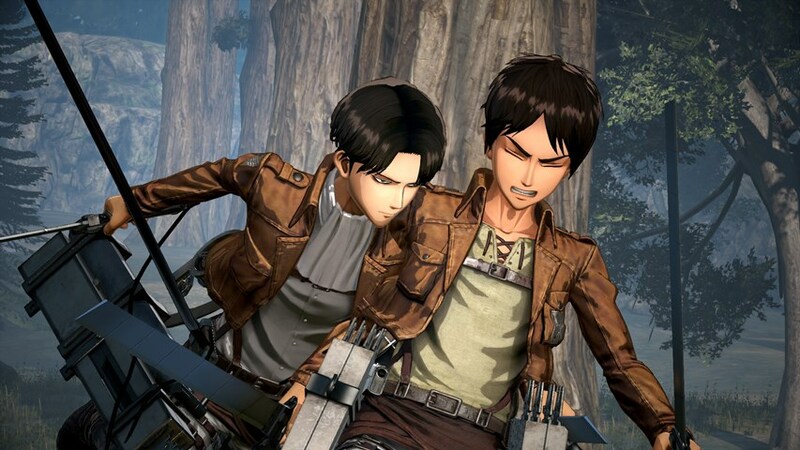 Attack on Titan 2 is a fun game to play but much like Omega Forces’ other offerings does well in smaller play sessions rather than continuous play due to the repetitive nature of the gameplay. The story is entertaining and the characters interesting but there is only so many times one can take out the same looking naked enemies. If you are not familiar with the anime or manga then that perhaps doesn’t really matter here, there is still some fun times to be had in ignorance of who is who. If you want a satisfying combat experience then this game certainly delivers but at heart is quite basic. 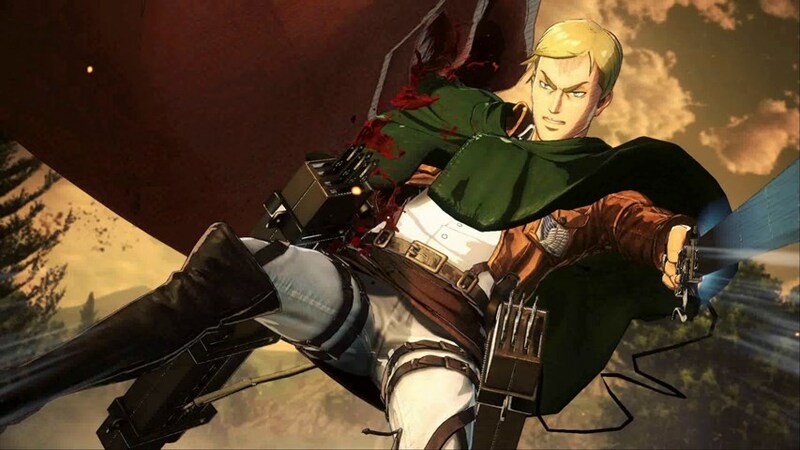 Attack on Titan 2 somewhat addresses this fact with the RPG elements which are welcome but ultimately the core fighting mechanics are the mainstay of your experience here.